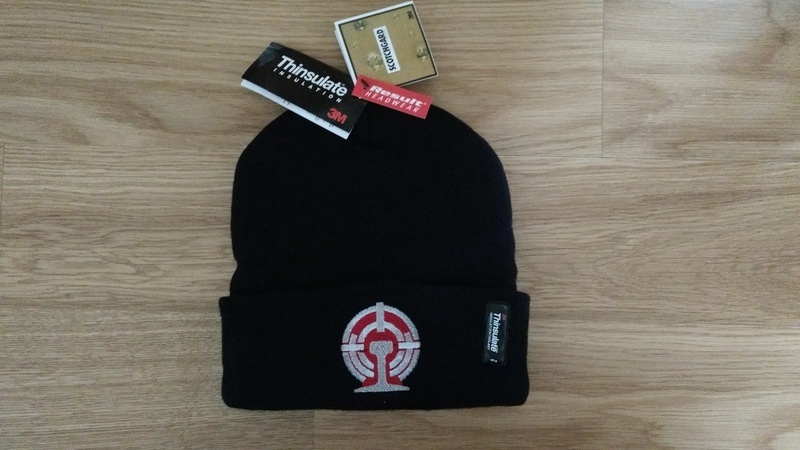 Our merchandise range IS now available! 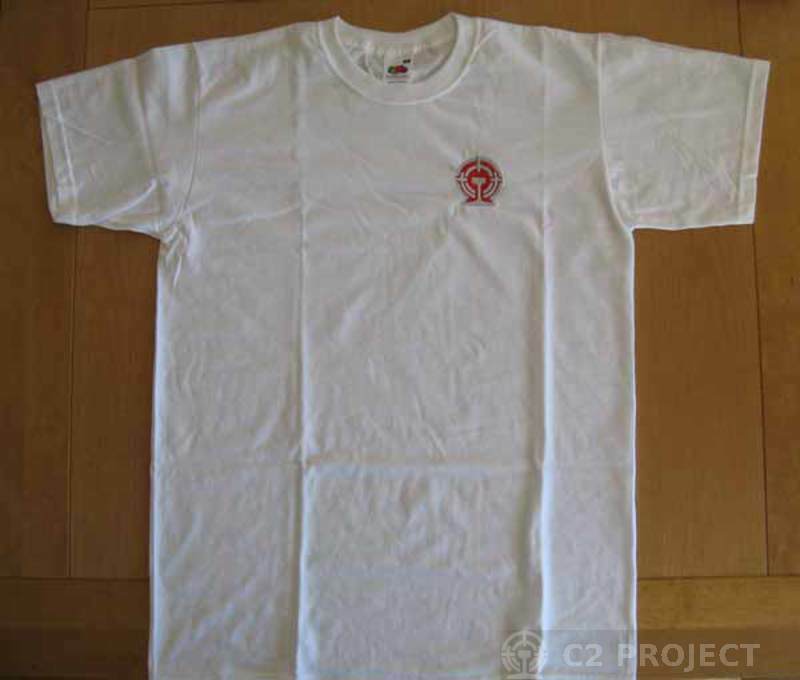 All funds raised directly support the C2 project. 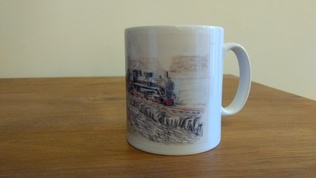 We are pleased to announce two mugs to our merchandise range based on original artwork. 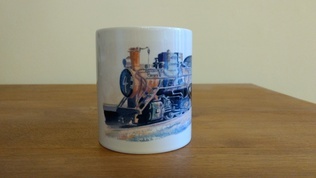 Owen is a long time supporter of the C2 project and we thank him for allowing us to use his artwork on our mugs. New Polo Shirt by Uneek Classics with embroidered Forestry Logo. NEW for 2017! 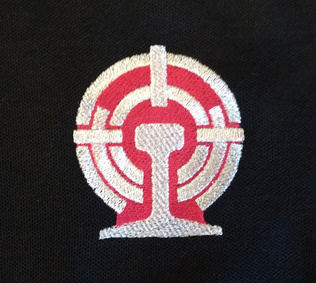 - Our black polo shirts are by Uneek Classics featuring an embroidered Chinese Forestry Railway logo. We can now offer replica Chinese Forestry Railway plates for sale. 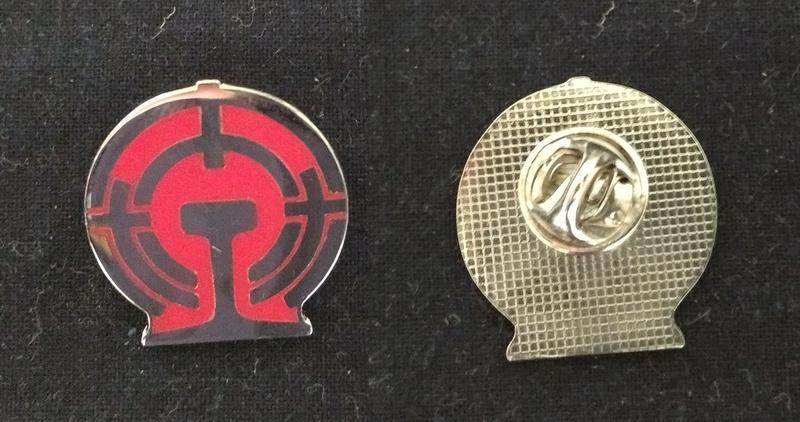 They have been cast in aluminium with red painted background. The front face has a machined finish. 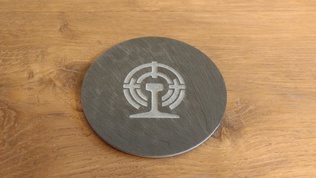 They are available in two original sizes: small (330mm x 295mm x 17mm) and large (420 mm x 375mm x 23mm). The small size is cast from a pattern made from an original plate and the large size has had the pattern fabricated specially. Dahuichang locomotive number 4 originally had 5 of these plates as new from the factory in Harbin. 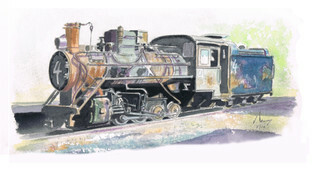 Large plates were mounted on the smoke box and tender sides and small ones on either cab side. Sadly all the original plates had been sold off before No. 4 was brought to the UK. We are thankful to John Besley who was able to lend us an original small plate which enabled us to make a pattern. The Forestry Railway logo is a combination of the logo of the state run China National Railways (See Wikipedia) and the Chinese character for tree See About.com. 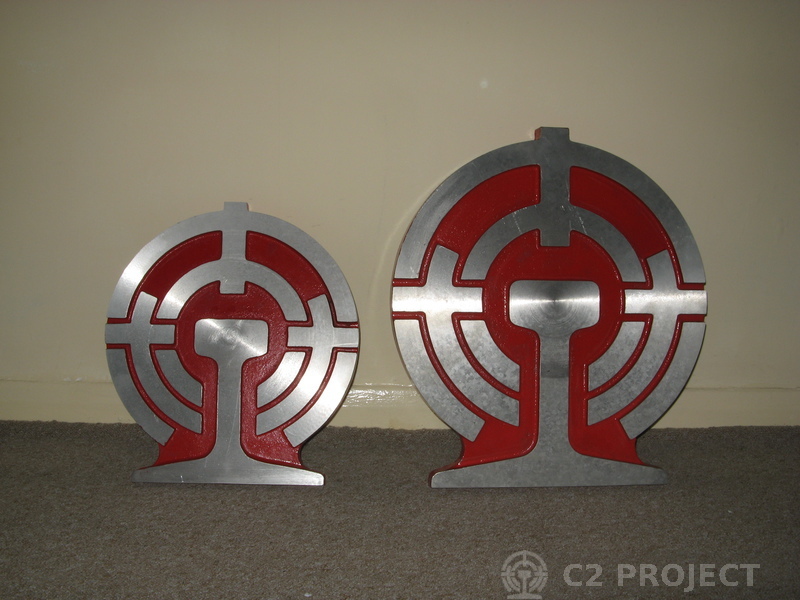 Replica Chinese Forestry Railways Cast Aluminium Plates. Small and Large. Example of Chinese Railways Forestry Plate in use. 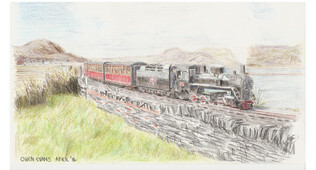 The project to bring a Dahuichang Railway C2 0-8-0 tender locomotive to the UK for preservation and potentially to operate on UK preserved lines was conceived in the autumn of 2005 following a visit to the railway soon after its closure by a group of Ffestiniog Railway footplate volunteers. Prior to the visit it had been possible to make arrangements for a loco to be steamed for the visitors to drive, and experience that impressed them greatly. When the Chinese driver suggested that they might like to buy one, initial scepticism soon gave way to enthusiasm and the formulation of a plan. A little over a year later the dream became a reality. No.4 is Harbin works number 221 of January 1988, and was one of the last C2s built. It may yet prove to have been the world's last commercially built narrow gauge steam locomotive for industrial use. This double DVD features No.4 and its sisters operating at Dahuichang and in a wider context, other C2s operating all over China. It documents the initial inspection of No.4 and its collection in China and delivery in the UK. The C2 Project is pleased to be able to offer for sale the Shibanxi coach kit from P&J Models in 16mm to the foot scale. 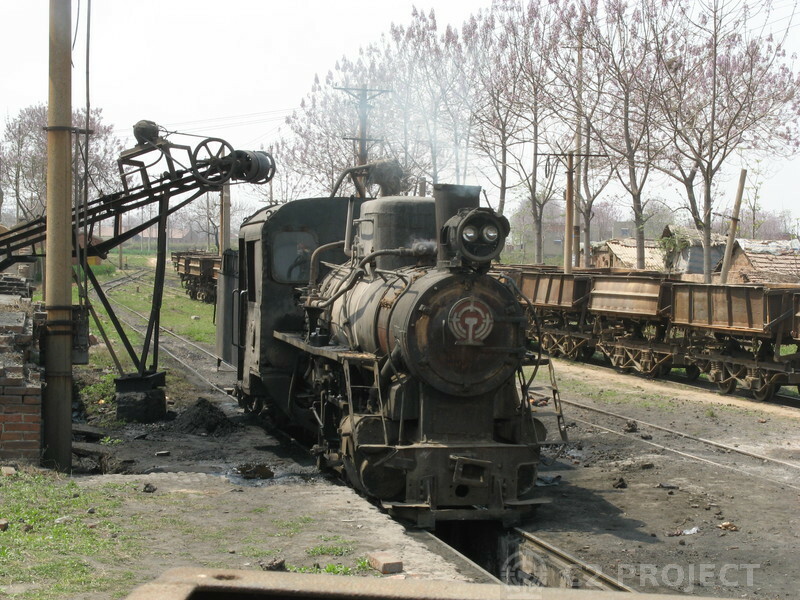 The Shibanxi (pronounced she-banks-she) Railway is one of the few narrow gauge lines left in China that still uses steam as its prime source of motive power. 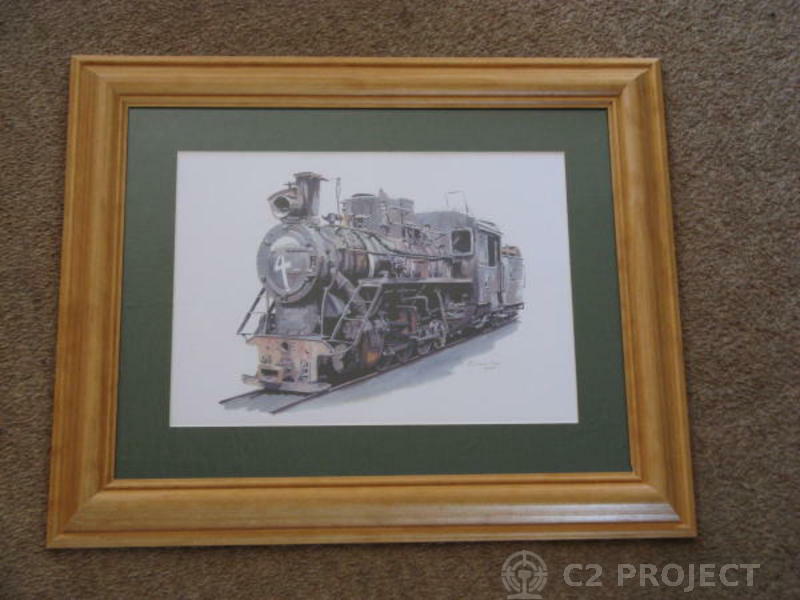 These being entirely C2 class 0-8-0 tender locomotives. The regular formation of the passenger trains on the Shibanxi line consists of 6 of these types of coaches with the addition of a bogie coach in the middle of the set. 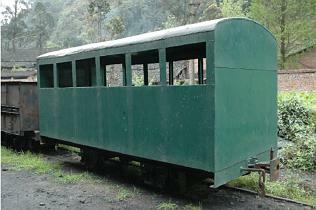 The coach kit is based on one of the many Shibanxi Railways home made coaches which provide the regular passenger train. This model is produced as an easy to assemble kit requiring the screwing together of the steel sides with the roof clipping on in place, the single door slides in its own runner. The kit comes complete with wheels, axle boxes solebar and interior seating. The prototype had no glazing just steel shutters to keep out the rain. As will be noted there is only one door on the coach due to the platforms all being on the same side! While this is a model of a Chinese coach its style lends its self to plenty of other railways and would not look out of place behind the P&J Boxcab loco. 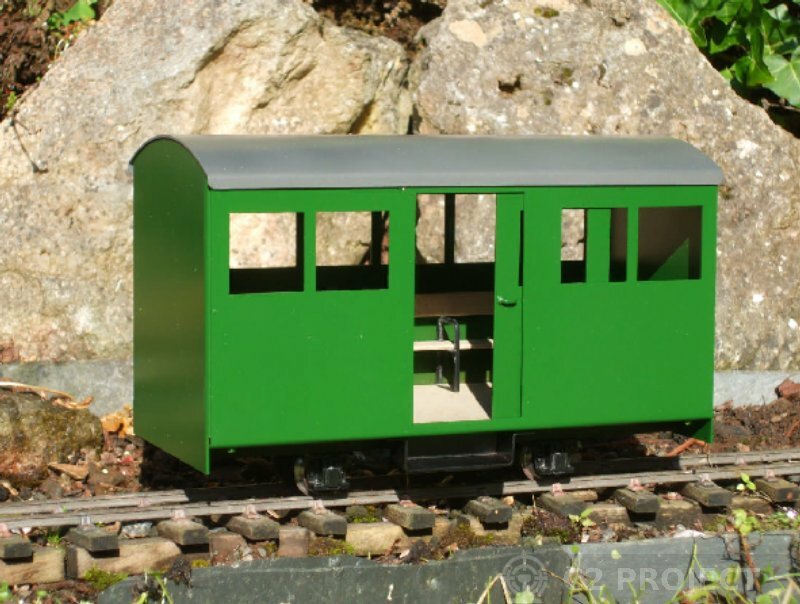 This kit comes as standard for 32mm gauge, although other are possible. Please specify at time of order though the instructions to merchant box when paying with paypal. 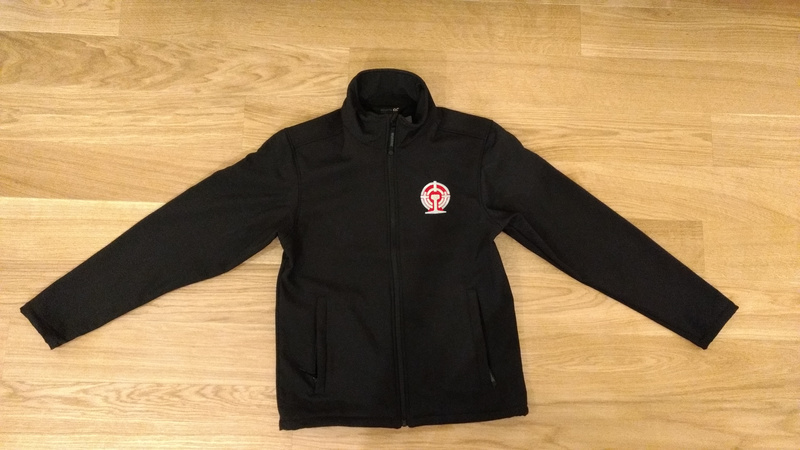 Alternatively send us an email as soon as you have ordered. The measurements for this model where made on behalf of P&J models while on a visit to Shibanxi Railway in April 2007. For some pictures of the visit please visit the gallery or Click Here. 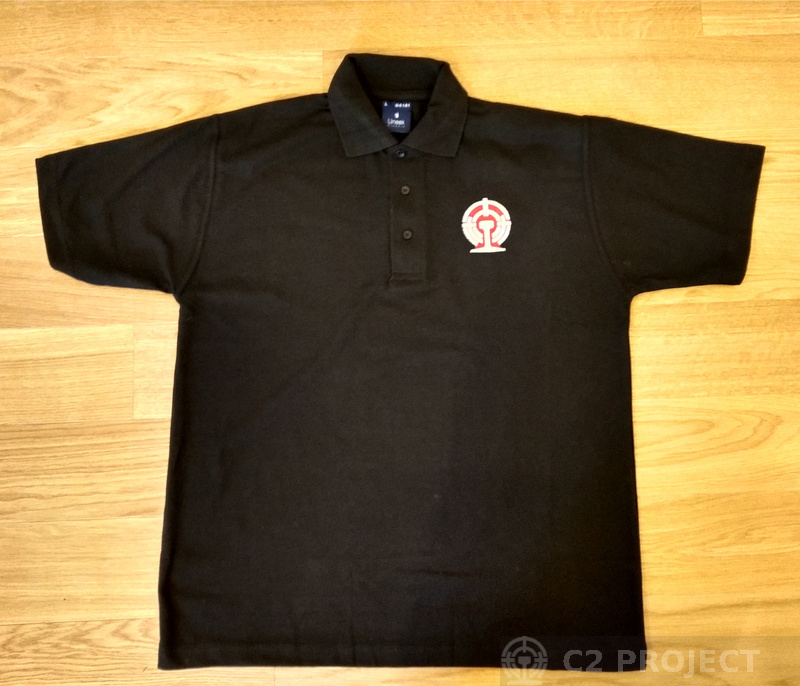 Purchasing this kit from the C2 Project website directly supports the rebuilding of Dahuichang Railway number 4 on the Ffestiniog and Welsh Highland Railway. Payment can be made through paypal (for account holders or a credit/debit card holders). Alternatively payment can be made by cheque. 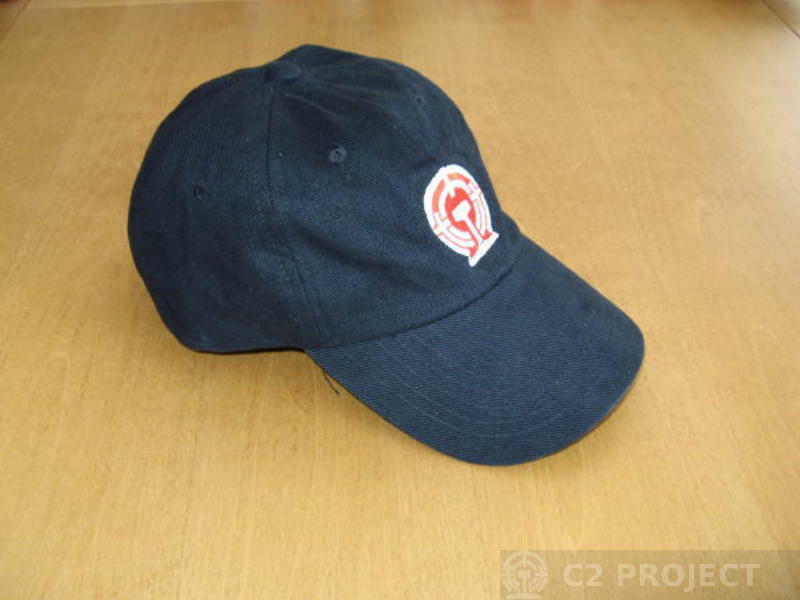 Please send an email to sales@c2project.org with your order and we will send you a quote. Postage and packaging is charged at £4.50 per order unless specified otherwise. Please note that the values shown on this page and in the Paypal shopping cart are inclusive of VAT at 20.0%.